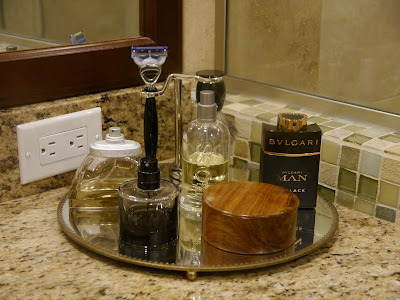 One of the home décor trends I’ve recently noticed is the use of trays. Not just for the kitchen and dining room, they’re used for decorative purposes in all rooms. I think they add a finished quality to any area by incorporating color and texture into the space. 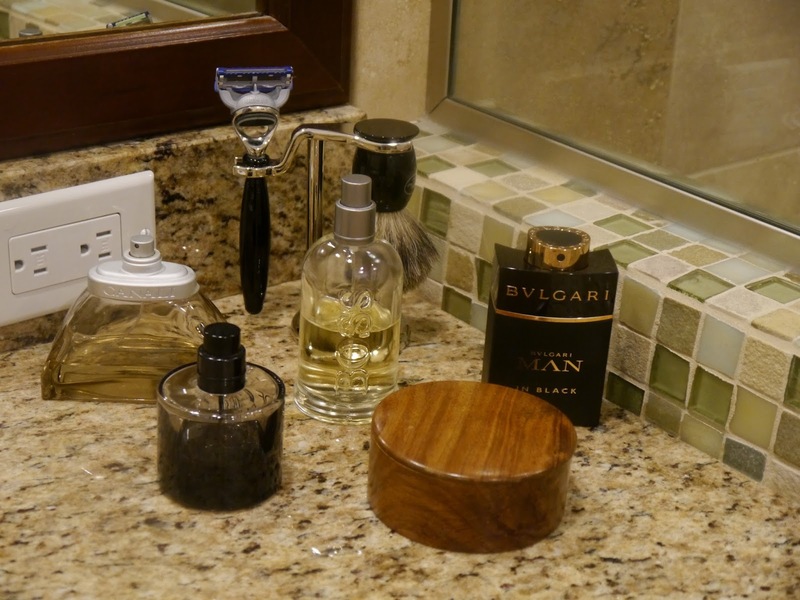 Kevin used to keep his shaving accessories and colognes directly on the stone vanity, but this mirrored tray adds a bit of flair to the room. Its classic style works well with the rest of the room’s décor, and it’s just the right size, big enough to make a statement, but small enough not to be overwhelming. This mirrored tray is an ideal addition to his bathroom.